Have you ever calculated how much money you are losing due to your non-converting landing page? You are probably losing out your potential customers and business due to your non-converting and poor landing page design. 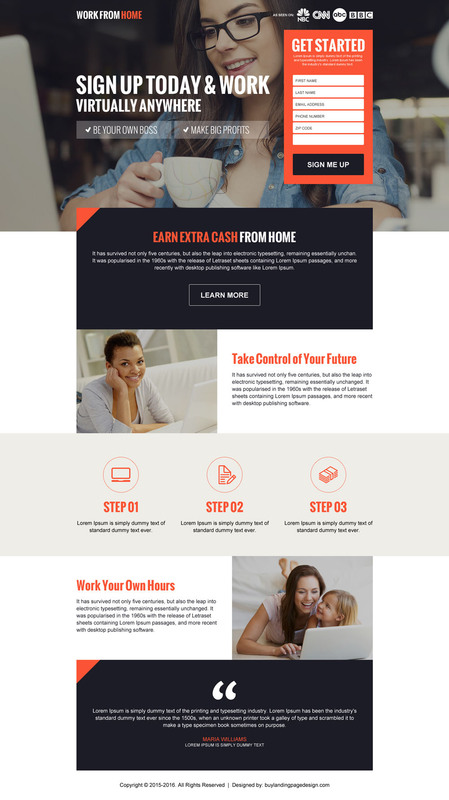 If you want to make a profit from your business, then you need give a facelift to your old and non-converting landing page and use one of our modern, effective and professional work from home landing page design.